Carwile Mechanical's industrial division works with several Fortune 500 companies, as well as many privately owned companies. 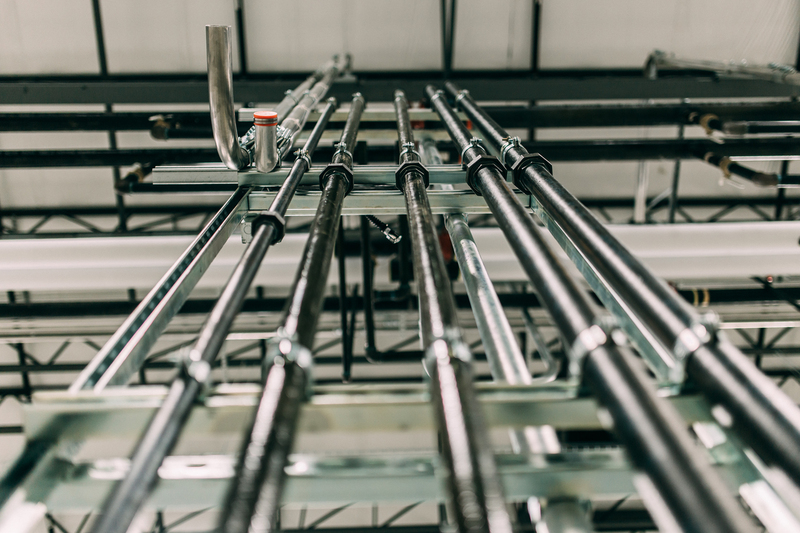 Our capabilities extend beyond basic HVAC and plumbing to cover many different areas such as: industrial ventilation, millwright, food-grade piping, and process piping. We strive to come alongside plant engineers and partner with them. We take what we know — the foundations — and apply it to other areas where we can help our customers. This has given us the opportunity to have crews that report directly to our customers' facilities, working alongside their maintenance staffs. With our fabrication and welding shops, we can design and fabricate whatever is needed to complete a custom project in a timely manner. "I have used Carwile Mechanical for three years. They have gotten us out of several jams over the years. They are very responsive. They understand the need for maximum uptime on the equipment. They have helped us out with our HVAC issues, chiller equipment, facilities improvement projects and others. I appreciate their working with me to ensure our success as well as theirs." "We are happy to have Carwile Mechanical as a resource we can use. They have successfully provided us with services ranging from conception, to design, to finished product on several occasions. They are local, respond quickly and have the resources to meet our tight deadlines. Carwile offers competitive pricing, their workforce has always been professional and they have been flexible to assist in working around some of our demanding schedules. We have a great working relationship with Carwile Mechanical and are pleased to have them as a business partner." When George Dickel needed to install a new process boiler in their powerhouse, they contacted Carwile Mechanical. The boiler was installed by removing a section of the powerhouse roof and lowering the boiler in from above. The tie-in of the new boiler was done with minimal interruption to production. George Dickel and their parent company, Diageo, have partnered with Carwile Mechanical on numerous complicated projects at several of their facilities. Carwile Mechanical works at multiple Federal Mogul facilities. We provide millwright, piping, dust collection, ventilation and various other services to these sites. We have completed several process line moves for Federal Mogul over the years that included designing new dust collection systems and relocating line utilities. We supplement Federal Mogul's on-site maintenance staff with handling of daily maintenance on process equipment. Perdue Farms and Carwile Mechanical have partnered together on several different projects over the years. These projects range from daily maintenance to multimillion dollar, high-speed processing line installs. Carwile has provided sanitary piping, millwright work, ventilation, HVAC and various other services to Perdue on these projects.